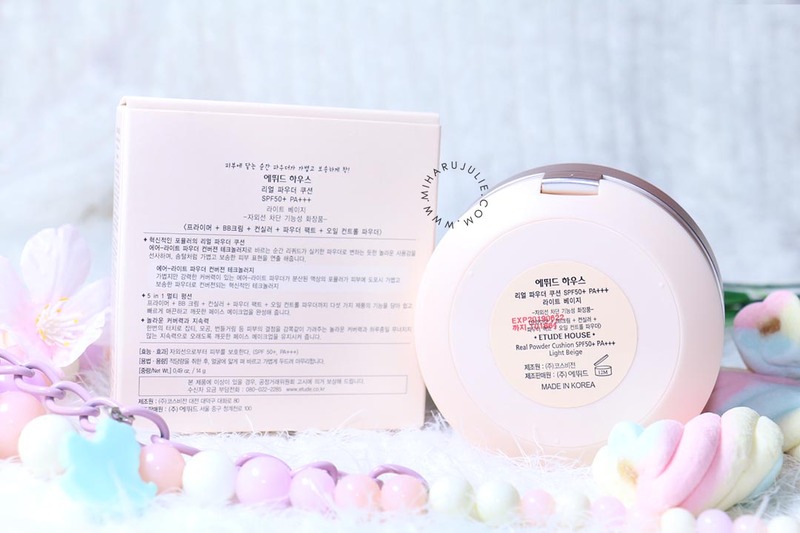 I already loved the Etude House Cushion, but here is another cushion version of Etude House cushion called the Etude House's Real Powder Cushion SPF50+ PA+++. The Real Powder is different in this sense, in that the formula is liquid in the cushion but sets to a powder finish on the skin. So let's get started with the review ! 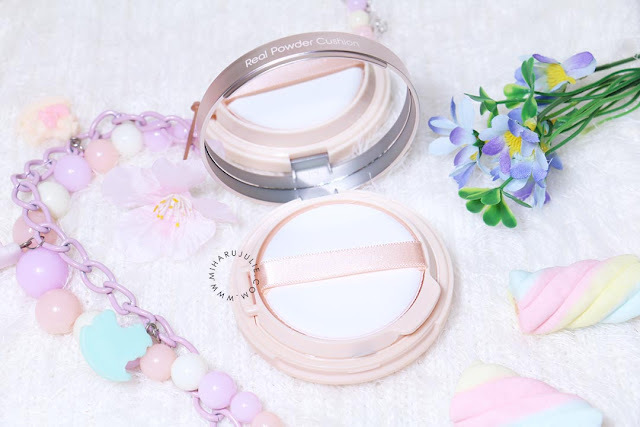 This cushion claims to be a combination of a primer, BB cream, concealer, powder pact, and oil control powder, giving it a “perfect” smooth finish with high coverage. 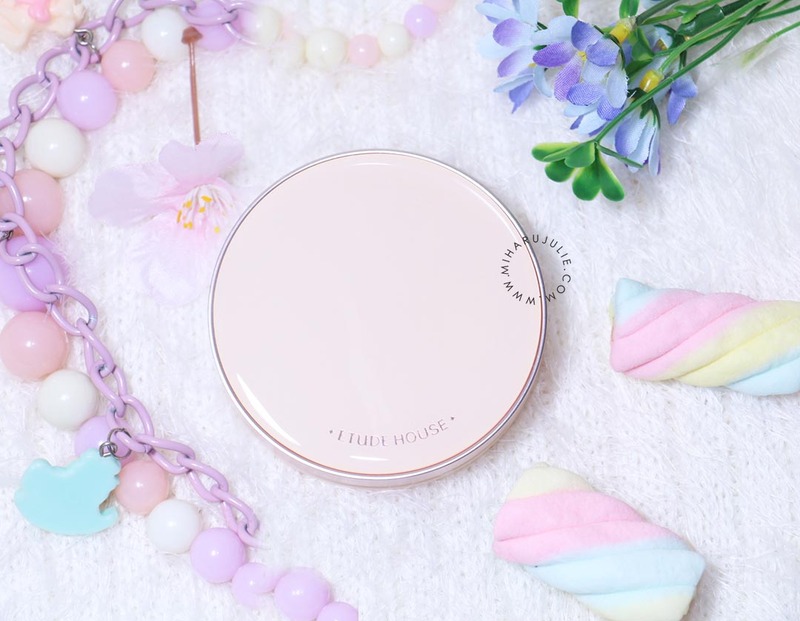 Because of it’s “5 in 1” technology, it suggests that you can use this product without having to use primer/finishing powder, and have this be your sole step in your skin makeup routine. 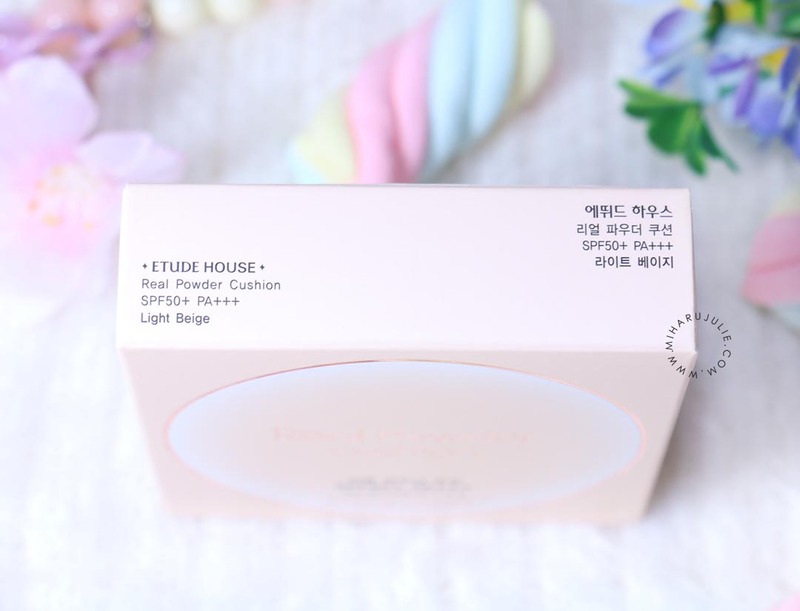 The puff matches the beige packing of the cushion and looks to be the same size as the regular Etude House puffs. 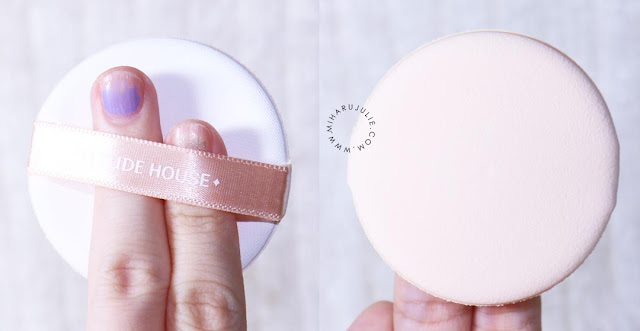 This cushion has thicker consistensy than Etude House cushions usually have, almost like a normal foundation or bb cream. Because of this you need to apply it carefully to achieve even result. 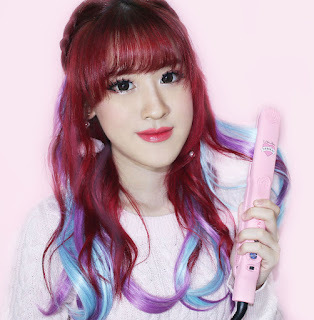 The finish is powdery and looks really good without extra powder. The coverage on this is actually surprisingly good. I'm actually impressed Etude House is coming up with almost full coverage foundations. If you only have minor blemishes or discolouration, you might not need a concealer. Overall I like how it gives a nice coverage on my acne marks and blemishes, and I have to say that this shade matches my skin tone. And it really turned from liquid to powder once the product is applied so it needs to be blended quickly or else it will cake and will be harder to work on. I really wanted to like this cushion, but sadly this cushion not suited for me. I like more natural looking base nowadays, so I don't need this heavy coverage for everyday use. This product is definitely not light and It will also be way too drying for me since I have a very dry skin type. 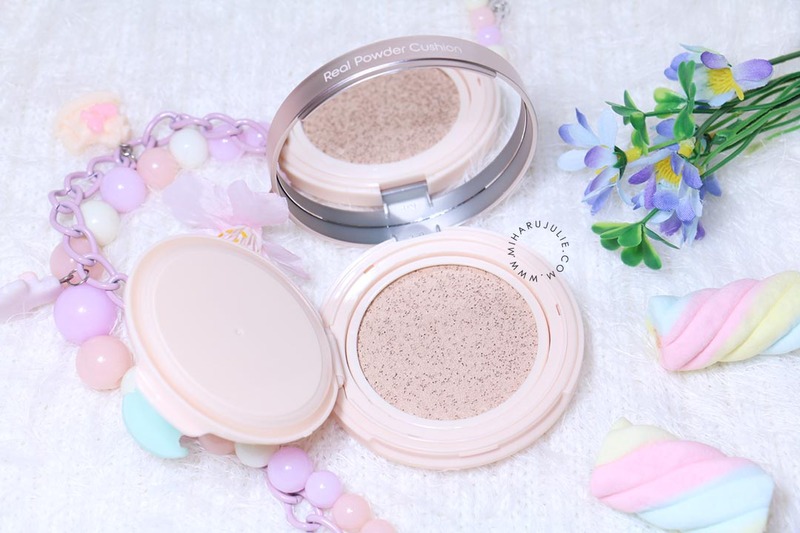 If you are looking for matte finish cushion with high coverage, this is worthy product to try! 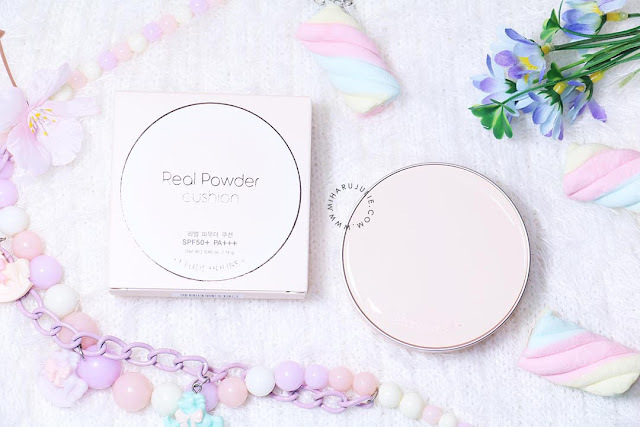 I recommend the Etude House Real Powder Cushion for combination-oily skin. If you have particularly dry skin, or if your climate is really dry, then I could imagine this being a bit too dry or cakey on you. hope you'll click on mine links <3! Great products. Happy weekend Julie. You always have the most beautiful pictures!